Still Ready to Grow is a follow up on the 2009 Ready to Grow Report. 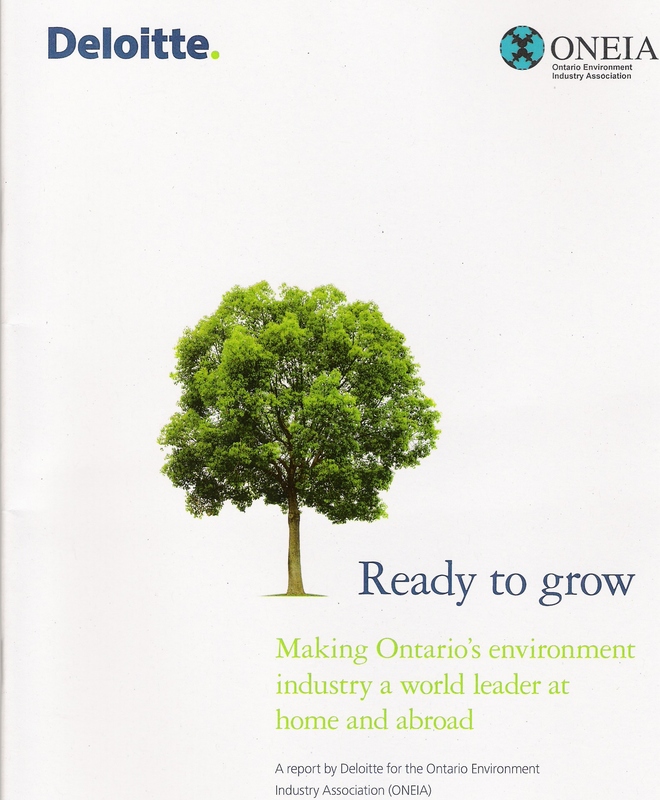 A report based on feedback from Ontario’s environment businesses. 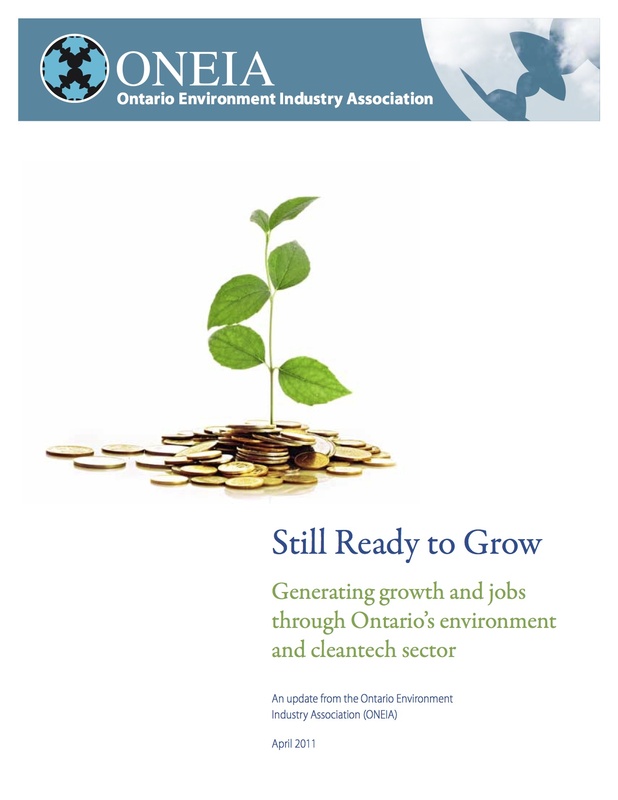 This report assesses the environment industry in Ontario based on direct input from businesses across the province. It identifies five core priorities and many related ideas that will help Ontario build a leadership position in the sustainable economy of the future. The report focuses on what industry practitioners view as the barriers that result in slower growth in the sector. To identify these barriers, senior executives from across the environment industry were interviewed and subsequent focus groups were held in Ontario’s major business centres. The insights gained from the interviews and focus groups were used to develop an online questionnaire that was completed by 180 business managers across the Ontario environment industry. The study was commissioned by ONEIA and the research and analysis was performed by Deloitte.